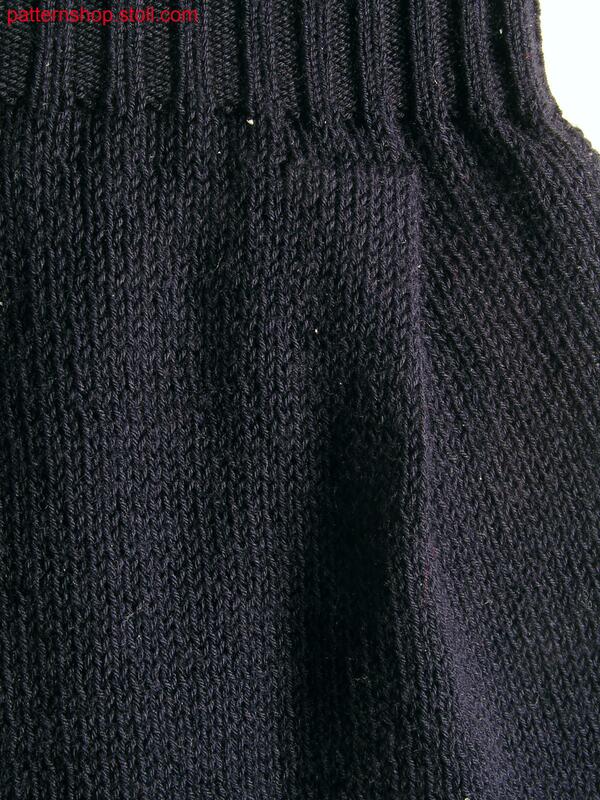 Jersey swatch with overlapping pleats on the pleated 2x2 waistband. mit übereinanderliegenden Falten am plattiertem 2x2 Bund. 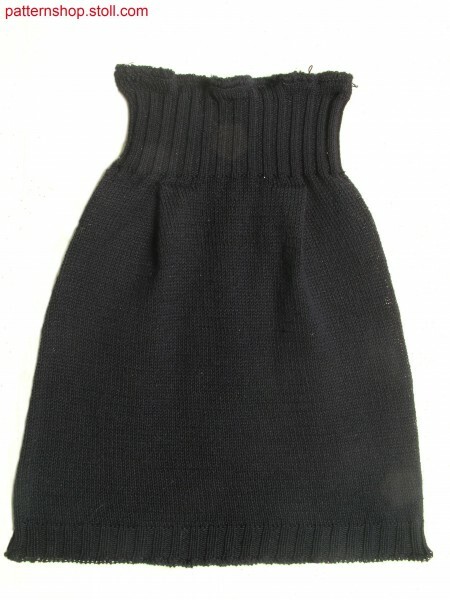 1 knitted fabric(s) / Strickteil(e) 32 min. 0 sec. 0.80 m/sec.